15/16A C20 to C19 Hybrid power cords are rated for 15A in North America, and 16A Internationally. These cord sets carry UL, cUL, VDE, and more approvals. BLACK 16A 250V C20 C19 Power Cords. IEC 60320 Standard. Computer, PDU, Data Center applications. The IEC 60320 C20 is a grounded 3 Wire Plug rated up to 250V and 20 Amps. The C20 mates with a C19 outlet, typically found on Data Center/IT specific PDUs (Power Distribution Unit). The most common configuration for a C20 is in a jumper cable scenario, providing power from a PDU to a blade server chassis, high powered server, large network router, or similar device. Are you a reseller looking for Blind or White Label Drop Shipping? We offer both! During checkout simply select "Blind Shipping", then either upload your own packing slip, or, upload your logo and part numbers into ours. You will receive automated tracking emails as soon as your order has been packed so you can keep your customer up to date in realtime. Blind drop shipping has never been easier. Our power cord sets are manufactured under an ISO 9001 quality management system to ensure that you get the same outstanding quality with on every order you place. Warning : This component may be in use for other products, categories, or product-lines. Editing will affect the component everywhere it is used. x Choose Image FullscreenBoldItalicUnderlineStrikethroughSubscriptSuperscriptFont FamilyArialGeorgiaImpactTahomaTimes New RomanVerdanaFont Size89101112141824303648607296ColorsInline StyleBig RedSmall BlueParagraph StyleGrayBorderedSpacedUppercaseParagraph FormatNormalHeading 1Heading 2Heading 3Heading 4CodeAlignAlign LeftAlign CenterAlign RightAlign JustifyOrdered ListUnordered ListDecrease IndentIncrease IndentQuoteIncreaseDecreaseInsert LinkInsert ImageInsert VideoUpload FileInsert TableEmoticonsΩSpecial CharactersInsert Horizontal LineSelect AllClear FormattingPrintHelpCode ViewUndoRedoAll of our NorthAmerican use Power Cord Sets are UL listed under E503529. This means that you can be sure that all of our power cord sets are of the highest quality and are certified for use in the United States. 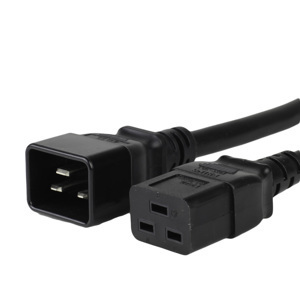 All of our NorthAmerican use Power Cord Sets are UL listed under E503529. This means that you can be sure that all of our power cord sets are of the highest quality and are certified for use in the United States. Why do we offer a lifetime warranty? We offer a lifetime warranty because we know that it won't have to be used. Our products are manufactured using only the highest quality components, and, undergo rigorous quality assurance inspections and testing to ensure all of our products meet our exacting standards. Our lifetime warranty gives you peace of mind that your purchase is 100% guaranteed to work. All cords, cables, patch panels, and adapters sold on this website in original unmodified condition are covered under this warranty. Warranty does not cover damage caused by misuse. To use the lifetime warranty, simply request an RMA and send your defective material back to us and we will either repair or replace the goods and return them back to you in working condition. 14/3 SJT / 1.5mm2 H05VV-F is a hybrid cordage that carriers North American and International Approvals. This type of cordage is ideal for customers who are looking to standardize power cables used across data centers worldwide, while still having approvals for each country they are being used. Depending on the types of connectors used in the cord set, this cordage can be used in 125V or 250V circuits. When used in 125V circuits, the Blue conductor is typically the "Hot", the Green/Yellow conductor is the "Ground" and the Brown conductor is the "Neutral". When used in 250V circuits, the Blue conductor is "Hot", the Green/Yellow Conductor is "Ground", and the Brown conductor is also "Hot".